Review: It is the end of the 19th century, Jay Cavendish a 16-year old Scottish man travels across America to find the woman he loves. Along the way he is joined by Silas, a mysterious traveller. This is one of my favourite Michael Fassbender films. The main theme that this focuses on is death. This almost fits into the musical genre as well as the western genre. There are interesting uses of the music which came across very strongly. All the performances were terrific and always great to see Michael Fassbender. I enjoyed all the locations that were used. 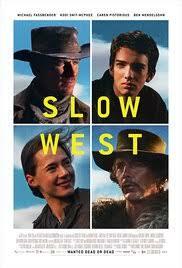 Even though it is supposed to be late 19th-century Colorado it is actually filmed in 21st-century New Zealand. This is described by writer/director Maclean as “a European road movie” with “fairytale” aspects that is “mostly about young love”. This is his first feature film and I would love to see more films directed by him in the future if they are as good as this one. As well as directing he even wrote the screenplay. I felt it was fast moving all the way through, slow it isn’t! There were times where I found this to be really tense. It is truly a brilliant film!